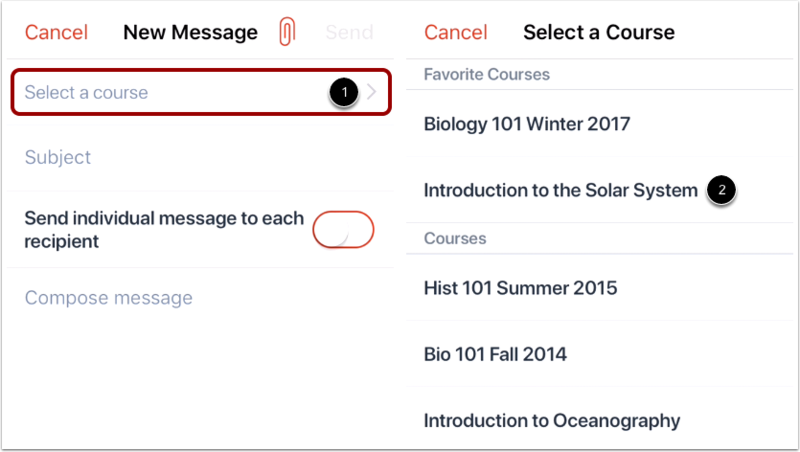 How do I send a message in the Student app on my iOS device? 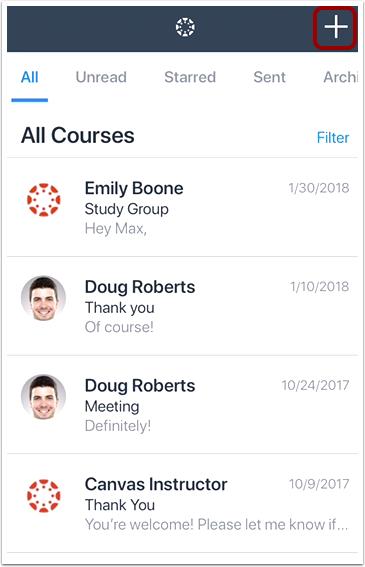 In the Canvas Student app, you can send conversation messages to multiple people in your courses. 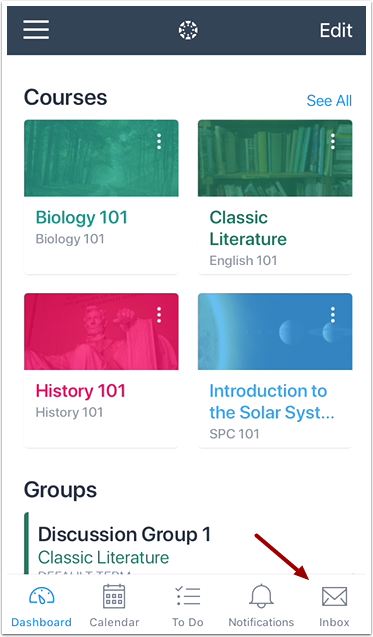 Tap the Select a course link  and select the course where you want to send the message . In the To field, tap the Add icon. Note: You can only add one user or group of users at a time. 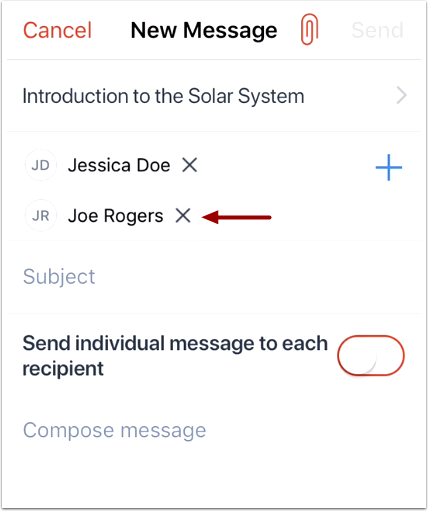 To search by name, type the name of your recipient in the text field. 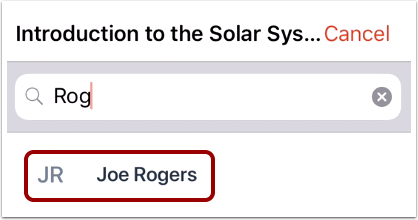 Note: If you cannot remember a recipient's name, you can search by course filter to select your recipient. 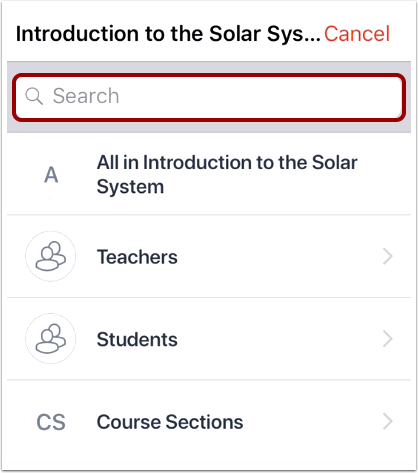 To search by course filter, select to message all users , select users by group , or message users by section . Tap the recipient's user group . Tap the name of the recipient . 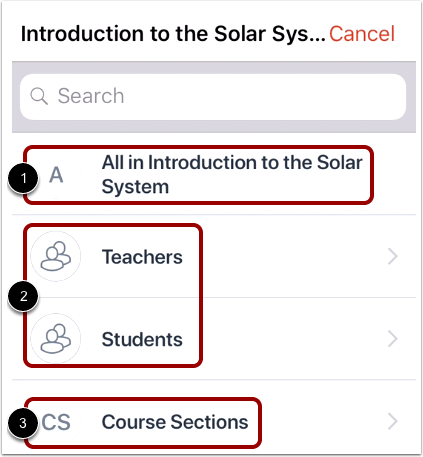 You can select all members in a specific user group by tapping the All Members option . If you need to remove a recipient, tap the remove icon. 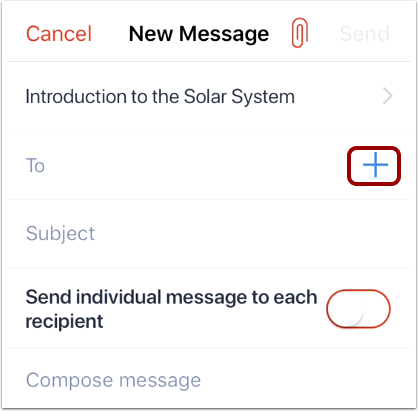 In the Compose field , type your message. Note: New messages will not appear in the Inbox until there is a reply to the message. However, if you have an existing Inbox message with a recipient, the message will appear as part of that message thread. 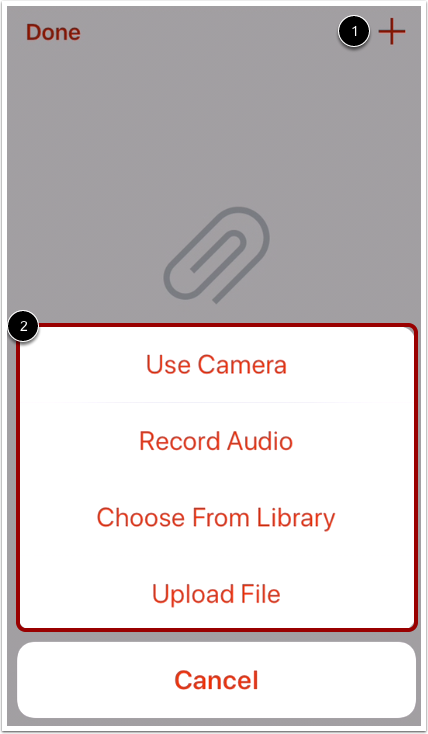 Previous Topic:How do I view Conversations messages in the Student app on my iOS device? 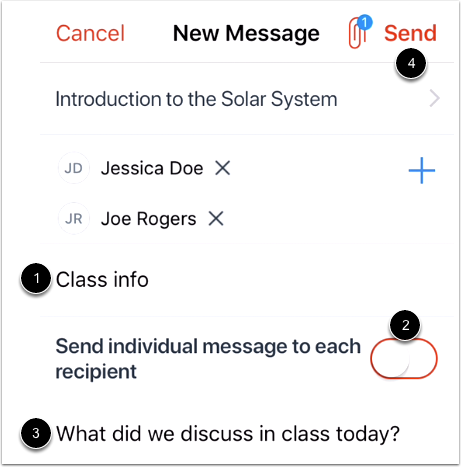 Next Topic:How do I reply to a message in the Student app on my iOS device? 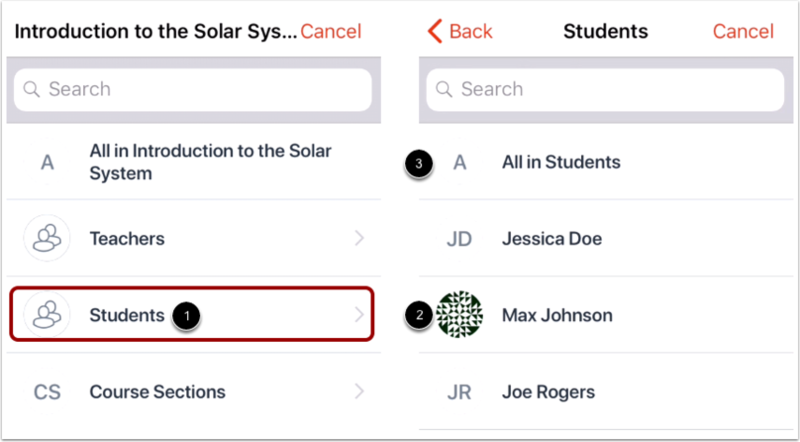 Table of Contents > App Features > How do I send a message in the Student app on my iOS device?